High Tide Grill: Full entrees, soup and salad bar. Serving breakfast, lunch and dinner. Back Bay Buffet: Tantalizing international array of entrees and desserts- prepared to perfection at any one of our 7 action stations. During dinner magical chocolate stations abound. Quench: IPs poolside restaurant and bar- overlooking scenic Back Bay Biloxi. IPs Olympic size heated pool is surrounded by cozy private cabanas- beverages served while you sun and features delicious IP favorites in a casual alfresco ambiance. Open Seasonally. Highlights Sports Lounge: 65 plasma HD screens featuring. Total Sports Package ANY GAME- ANY TIME. Great appetizers- homemade soups- sandwiches. Get off the bench and Play at Highlights. meeting rooms: IP s Ballrooms 18000 square feet of elegantly spacious meeting/banquet rooms for up to 1000 guests with customized menus- florals- decor to suit each event or organization needs. 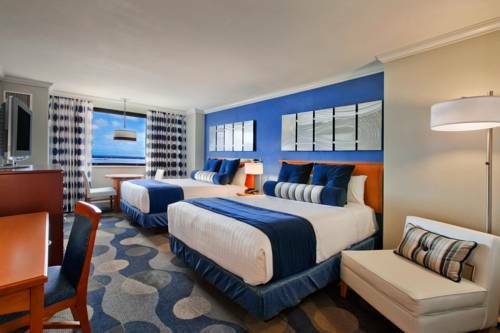 IP Casino Resort Spa is a first-class destination resort conveniently located on the Biloxi Mississippi beautiful bay minutes from Biloxi/Gulfport Regional Airport and all major highways. Our prime location is right in the heart of the breathtaking Mississippi Gulf Coast.